The family of the late Amodu Shuaibu has been hit by another tragedy barely a year after the man passed away. 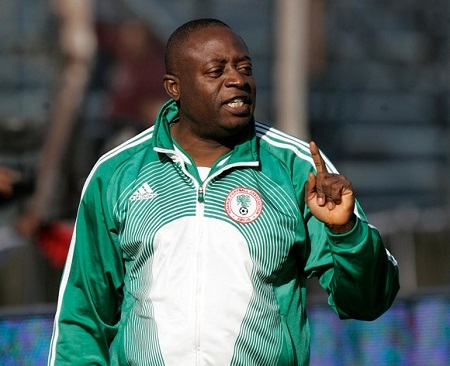 Close to a year that the country lost former Super Eagles Coach, Shuaibu Amodu to the cold hands of death, the family is mourning the loss of his teenage son, Suleman who died after a brief illness on Sunday. The NationSports reports that the 12-year old lad died while on holidays in his home. He was a JSS2 student of Navy Secondary School, Abeokuta. It could be recalled that the Late Shuaibu Amodu died at the age of 58 on June 11 2016.